How Useful Are Delaware Series LLCs for Tax- & Asset Protection? Every serious real estate investor reaches a point where they start to worry about being sued and having all of their hard-earned investments taken away by an ambulance chasing attorney and scheming tenant. The first step many take is creating a limited liability company (LLC), which are easy and cheap to create, and which once upon a time may have actually, you know, limited someone’s liability in a lawsuit. The theory went that you created an LLC, and owned a rental property or two under its name, so that if the worst happened and you were sued, only the LLC’s assets could be taken. So, your other LLCs’ assets were safe from the lawsuit, as were your personal assets (your house, your car, your engagement ring, etc). If you owned five rental properties, and each rental property was owned by a different LLC, then you had supposedly isolated each property’s liability so that the most a plaintiff could take was that rental property, not your other investments and certainly not your personal assets. One of the most touted benefits of owning rental property is a reduced income tax bill. But how exactly does that work? One great way to pay less in taxes is to depreciate your rental property. Properties, without any repairs, have a limited lifespan. As they deteriorate under wear and tear, the theoretical value of the building and its components gradually decreases. To offset this (again, theoretical) decrease in value and the initial purchase price of your rental property, the IRS allows you to claim depreciation. In the real world, of course, property owners make regular repairs and updates (the costs of which are also tax-deductible), but landlords can still claim depreciation on their tax returns – what’s known as a “paper expense” rather than a “real expense”. Here are the basics in order to improve your understanding of rental property depreciation before you invest. If your latest property tax bill has left you reeling – or at least scratching your head – consider that the asking price, to be negotiated downward. Swings in the real estate market may mean that the current taxable value on your property is inaccurate. 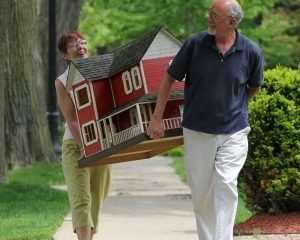 In fact, according to the National Tax Payers Union, up to 60 percent of homes are overvalued. The more startling statistic? 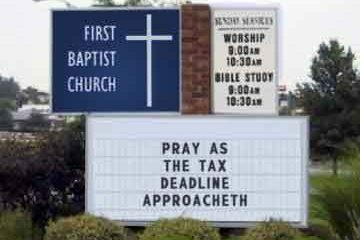 Fewer than 5 percent of taxpayers appeal. While there’s nothing you can do about the tax rate – which is set by local governments – you can appeal the taxable assessment of your property. If you think that the taxes you’re currently paying on your property are no longer in line with how much the property is worth, there are a few steps you can take. The first step is to review your tax bill for errors. The worksheet for the property, also known as the property record card or working papers, contains specific information about your home, such as square footage, number of bedrooms, etc. Verify that all of the information on the sheet is correct. Tax time is fast approaching, and owning rental properties means more prep work… but also deeper deductions. The required bookkeeping can seem overwhelming at first, but for the average landlord it doesn’t have to keep you up all night. In essence, it just comes down to declaring all of your rental income and claiming every deduction. You can hire an accountant to file your taxes, or do it yourself by completing a Schedule E (Form 1040). 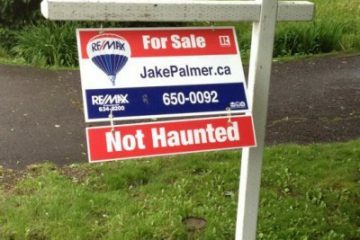 But which rental property expenses can you claim? According to the IRS: “In most cases, the expenses of renting your property, such as maintenance, insurance, taxes, and interest, can be deducted from your rental income.” (Publication 527, Residential Rental Property) These can include expenses incurred for managing your rental, such as legal forms and tenant credit reports and background checks (ahem!). Certain driving and transportation expenses may be deductible. While most of us will never join the elusive “1%” (minimum net worth: $8.4 million), gaining entry into the top 20% (top quintile) of Americans is attainable by just about anyone with the discipline to save and invest a large chunk of their paycheck. Consider a few basic facts. The majority of Americans in the top quintile have retirement accounts, yet only 5.2% of the bottom quintile have retirement accounts. 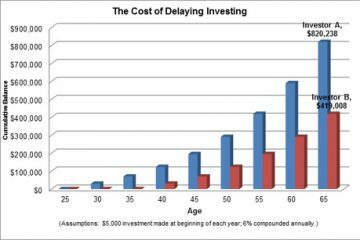 A 2013 study found that a shocking 57% of Americans had less than $25,000 saved for retirement, a disturbing trend as Americans live longer and will need more money for retirement. When pundits talk about the economic recovery over the last five years helping the wealthy and not the middle class, they are largely referencing the explosion in the stock market. The top quintile own 91.4% of the nation’s stocks, and U.S. stocks' value has nearly tripled since 2009. Among the top quintile, 84.5% own their own home, compared to only 43.1% of the lowest quintile. If you’re one of the so-called “accidental landlords” who is leasing out your prior primary residence because you couldn’t sell over the past few years, you may be in luck when it comes time to sell. A recent change to the Taxpayer Relief Act has expanded tax exemptions on capital gains from selling real estate… with a few provisions, of course. You might recall that in 1997, the Taxpayer Relief Act was born and provided millions of Americans a way to avoid paying taxes on the profits from selling their homes. Specifically, single homeowners were allowed to profit up to $250,000, while married couples were allowed up to $500,000 in profits from the sale of their primary home. 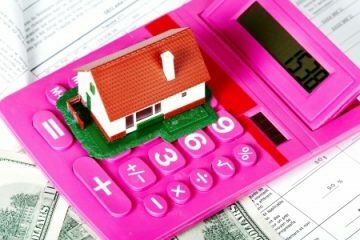 Well, a lot has changed in the American tax laws since then, but the capital gains provision is one which maintained its advantages for many homeowners. In fact, there are even a few added bonuses since its inception. Before recent changes to the Taxpayer Relief Act, the tax-free gains on the sale could only be used to purchase another home. The National Taxpayers Union estimates that 60 percent of real estate in the US is assessed too high. There are many ways homeowners can go about lowering their real estate assessment themselves, but for those who would rather leave this sort of thing to the experts, the first step should be in locating and hiring a professional appraiser. The best way to find an appraiser is to ask around among friends, family or your real estate investing contacts for a referral, or perhaps ask the realtor who sold you the home if you still have contact with that person. Another option would be to contact the association for appraisers in your area. If DIY is the best approach or the most feasible for you, here are some tips on the best way to gain maximum results. Your return has been selected for further review. Please contact us to schedule an appointment within 14 days from receipt of this letter. Is there anything more dreadful than the notice for an IRS audit? For most people, only the death of a loved one or loss of employment can top it. 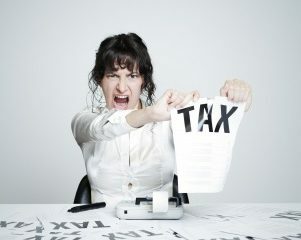 If you’re one of the millions of Americans and Canadians who break out into hives at the mention of tax season, there are a number of ways in which you can reasonably avert the gaze of the dreaded IRS. In fact, according to tax experts only 1 in every 100 tax returns ever gets a second look. Given the hundreds of millions of returns filed every year, the IRS must filter by certain “red flags” as they electronically sort the millions of returns. There are unfortunately some returns audited at random, with no red flag required for an invitation to a private party with the IRS, but in general taxpayers can minimize the number of red flags on their returns. The good news is that almost every expense associated with rental properties is deductible. The bad news is that it must be documented, and not all of the deductions are simple. So, the first step in avoiding a tax season nightmare is to have all proverbial ducks in a row. Every expense should be accounted for, with supporting paperwork saved and organized. Landlords with four or fewer properties may decide to forego hiring an accountant or tax attorney; however professionals say that is an unwise decision. Real estate tax laws have many nuances and technicalities which could make or break a landlord. 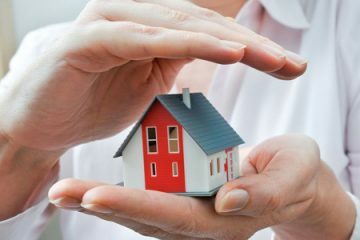 Having knowledge of the intricate details or access to them is crucial when it comes to getting the full benefit of being a landlord, and there are many benefits of which landlords will want to take advantage. Taxes, how do I loathe thee? Let me count the ways. Fortunately, real estate investors (as self-employed people) can take advantage of 401(k)s just like W-2 employees can, to invest a certain amount of money each year tax-free for retirement. And the good news does not stop there – they can even invest in real estate as their 401(k) retirement investment! But there are plenty of details that investors should know before they jump off the diving board. First, individual (or solo) 401(k) accounts are for self-employed people who own sole proprietorships or partnerships (such as LLCs created for real estate ownership), but have no employees (other than spouses, who are allowed). Real estate investors with employees can set up normal 401(k) accounts and benefit that way. There are contribution limits, of course. For tax year 2013, self-employed people can contribute a total of $17,500 as their “employee” limit, but can also contribute as the employer, up to 25% of their self-employment income (to a maximum total contribution of $51,000).